Reverb.com was launched with the intention of building the best place for musicians to buy and sell all types of music gear. A major part of that is centered on the world of vintage guitars. We have tons of sellers from all corners of the world listing and selling vintage guitars every day. We get a lot of questions about vintage guitars, so we've compiled some of the most common ones into this handy guide. 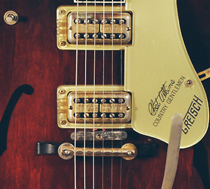 Read on for an introduction to the fascinating realm of vintage guitars. What should I know when buying vintage? How much do originality and condition matter? Where do dealers get their vintage guitars? How has the vintage guitar market fared over the years? What does the future hold for the vintage guitar market? Where can I learn more about vintage guitars? While an antique is defined as an object over 100 years old, there's no strict chronological definition of what makes something vintage. Typically, though, guitars around 30 years old or older fall into that category, and even newer instruments will often be labeled as such by sellers. In the wine world, vintage can refer to anything of a certain quality, and there are some who take the same perspective with guitars. On Reverb, we usually consider anything made prior to 1980 as being vintage. What should I know when buying a vintage guitar? If you're asking yourself that question, then you're definitely in the right place. There are a lot of things to keep in mind when shopping for vintage guitars, but here at Reverb, we try to make it as easy and fun as possible. When browsing on Reverb, you'll see listings for guitars from established brick-and-mortar shops, individuals who just happen to have a vintage guitar to sell, and everybody in between. Many buyers only feel comfortable buying from actual stores which makes sense as they will usually have in-house repair techs, return policies and a professional reputation to back their sales. This will, however, often bring a slightly higher price tag for the guitar in question, but not always. With individual sellers, it's important to ask questions ahead of time and keep the communication ongoing. In any instance, the Reverb staff is here to help broker any deal from start to finish, and thanks to Reverb Protection, you can buy with confidence. This information will be listed on any listing page. Most sellers on our site will accept Paypal or Reverb's internal Direct Checkout system. Our Preferred Sellers may choose to offer financing through Affirm. What is the condition of the guitar? Most professional sellers will detail any and all conditional issues in their listing, but in all cases you should feel comfortable asking questions prior to purchase. The importance of condition will vary greatly depending on your needs and priorities. More on this below. In short: a lot. Two guitars with the exact same make, model, year, and finish can vary drastically in price due to the current condition of the instrument. Serious collectors care quite a bit about this, and the mantle of "all original" can be very difficult to find for a particular model. Guitars are by design highly modular instruments, and guitarists are tinkerers by nature. This means that many instruments will have replacement parts that were not what came out of the factory. 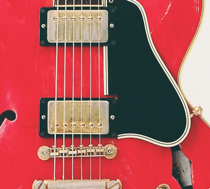 Common examples include pickups, tuning machines, bridges, nuts, control knobs, potentiometers, and plenty of other components, all of which will decrease the value for collectors. For cornerstone vintage models from Gibson and Fender, replaced pickups are probably the most damning in terms of retained value. Even instances where the replacement part actually improves the sound or playability of the guitar are considered serious detractors for collectors. A re-fret, for example, which is often a necessity to keep an old guitar playable, can be a negative for a buyer searching for that magic "all original" distinction. Like parts, the originality of the finish on a vintage guitar is crucial to determining its value on the collector's market. Frequently you'll see a guitar labeled as "refinished" or as a "refin" which means that it was repainted at some point in its lifetime. Refins vary a bit as well, with some representing a professional, delicate undertaking and others being little more than garage spray paint jobs. Even the best of refins, however, can reduce the value of a vintage guitar by around 50%. 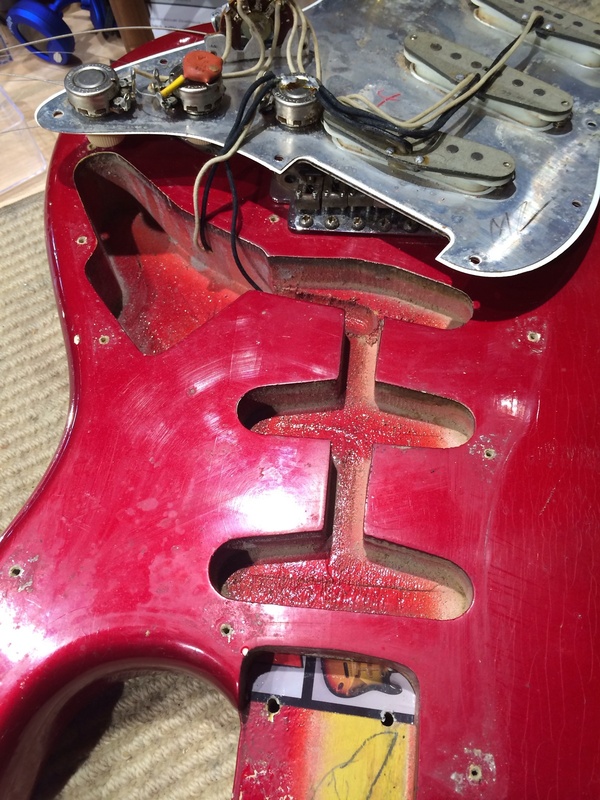 If, for example, we had an original Candy Apple Red Stratocaster from 1962 that was faded and scratched throughout the body with just a faint hint of original Fender factory red paint, it would still be more valuable than one with a glistening, spotless non-original red finish. In addition to original parts and finishes, due consideration should be given to other physical properties of the instrument which impact its sound, playability and structural integrity. These include whether there are any cracks in the body or neck, if the neck is bowed or warped at all, what the action of the strings relative to the fretboard is like, and an endless list of other factors. Acoustic guitars have an additional set of concerns including separation in the binding on the body and lift of the bridge away from the top of the guitar, along with deterioration of the bracing inside the guitar. There are more potential issues than can be listed here, but the best way to make sure you'll be happy with a purchase is to read the description of the guitar, look at all images and videos, and ask questions if anything is unclear. 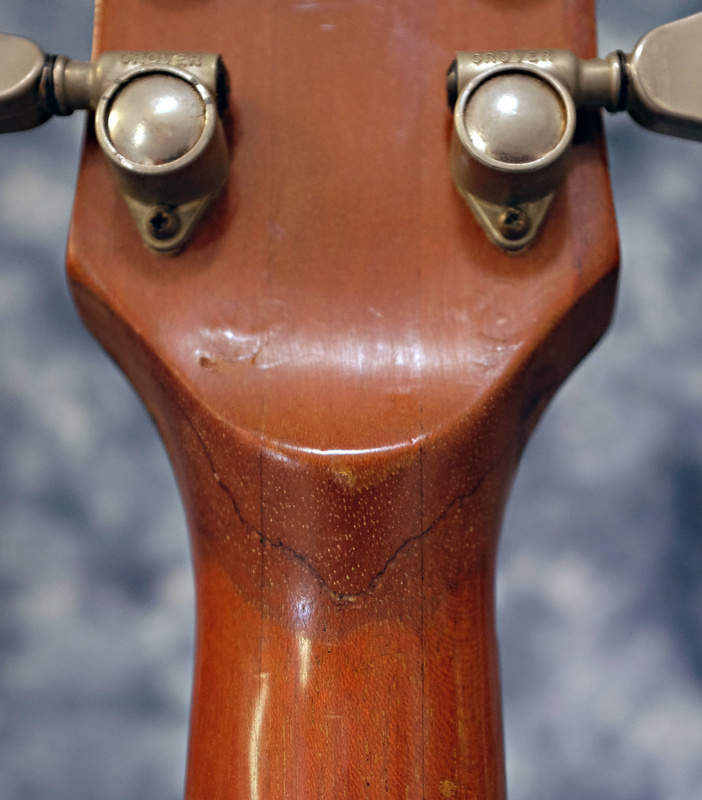 An common problem for many vintage guitars (Gibsons in particular) is the dreaded headstock break. The angle of the headstock of a guitar relative to its neck is an important design factor when it comes to striking the right action of the strings on the fretboard. However, combined with the high tension of the strings on the guitar, that angle leaves the instrument vulnerable to potential cracks and breaks if the guitar falls over over or gets drunkenly knocked into the body of the bass on stage. Headstock repairs are a common job for luthiers, but even the finest repair leaves the guitar worth much less than its pre-break self. A term you seen used a lot around Reverb is "player grade." We like this term so much, we even have a curated set with some of favorite player grade guitars. Player grade refers to a vintage guitar that is non-original to the point that it's of less interest to a collector than it would be to someone who's just looking for an awesome guitar to play. These are usually guitars that have seen a lot of use and potentially carry non-original finishes, parts, or both. On the other end of the spectrum is "collector grade." That too has a curated set page for it featuring some of the best best eye candy on the whole site. These are guitars that are in all-original or near all-original condition, and as such, tend to carry price tags that put them out of the grasp of most casual players. While that may seem unjust, that's the reality of the market. We just call 'em like we see 'em. Does originality matter to me? It might not. For lots of players, the priority isn't going to be to find something that's exactly the same as it was the day it left the factory. The priority is finding a guitar that sounds and plays great, and has a lot of character. Certainly guitars that are not all-original can satisfy those needs. It's important to remember that no two guitars are alike, and the quest for one that strikes your particular balance of all of the above is what makes guitar collecting so much fun in the first place. When it comes to electric guitars, the most valuable regular production instruments are usually considered to be solidbody electric guitars made by Gibson in the late '50s. 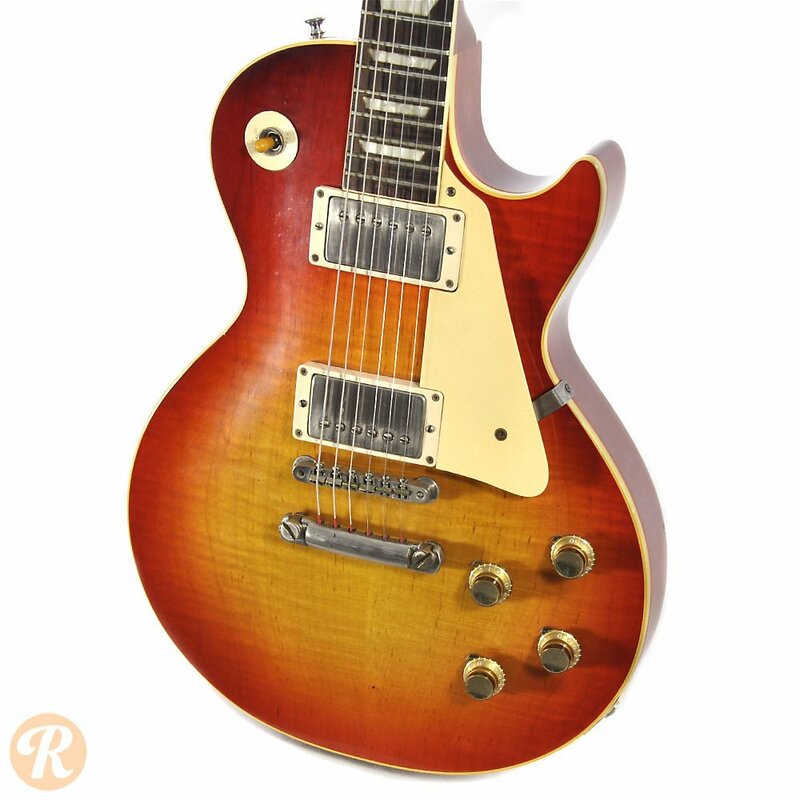 These include the elusive original run of Flying Vs and Explorers, as well as the fabled Cherry Sunburst Les Paul Standards produced from 1958 through 1960, known simply as "Bursts." A lot has been written about these instruments but suffice it to say they rarely come up for sale and when they do, the prices are in the hundreds of thousands of dollars. For Fender, the most sought-after instruments come from between 1950 and 1964 which is known as the "Pre-CBS" era as it predates the point when the CBS corporation assumed ownership of the firm. With Fender, original custom finishes like Seafoam Green or Shoreline Gold can increase the value substantially, but even these are not worth quite as much as the highest-end Gibson models. Beyond the limited color examples, the earliest Telecasters and Broadcasters (the predecessor to the Tele) rank as the most prized. On the acoustic side of things, dreadnoughts made by Martin from 1933 up until World War II carry the distinction as most valued by collectors. Gibson jumbo acoustics such as the J-45 from this era and into World War II are also at the top of the list, but not quite as valuable as, for example, a pre-war Martin D-45. Note that the above examples do not include one-of-a-kind artist-owned or historically significant individual guitars, which can fetch considerably more at auction. While guitars like Eric Clapton's "Blackie" or Bob Dylan's original sunburst Strat have sold for close to a million dollars, this is a separate category from what is referred to as "regular production" instruments. Another instrument example would be the early guitars of Paul Bigsby which were hugely influential on builders like Leo Fender and Semie Moseley of Mosrite. These guitars would potentially sell towards the top of the all-time range, but really never entered full production the way a Gibson or Fender did making it difficult to generalize. Where do vintage guitar dealers get all these guitars? Around the world, various organizations hold guitar shows where dealers can come to buy, sell, and trade their wares, as well as play loud Stevie Ray Vaughan licks to show off to their peers. For a long time, these events were considered the epicenter of the guitar trading world. However, in recent years, online sales have diminished their importance somewhat. That said, they're still a lot of fun, and there are still plenty of great deals to be found at your local guitar show. For many dealers, having a reputation as the place to go to sell a guitar locally is by far their biggest buying asset. Brick and mortar shops rely on "walk-ins" as a great way to acquire guitars that have yet to hit the general market. Most will be up front in saying they're offering a wholesale price lower than what it will fetch on the open market, but the advantage, of course, is the convenience of an immediate sale. 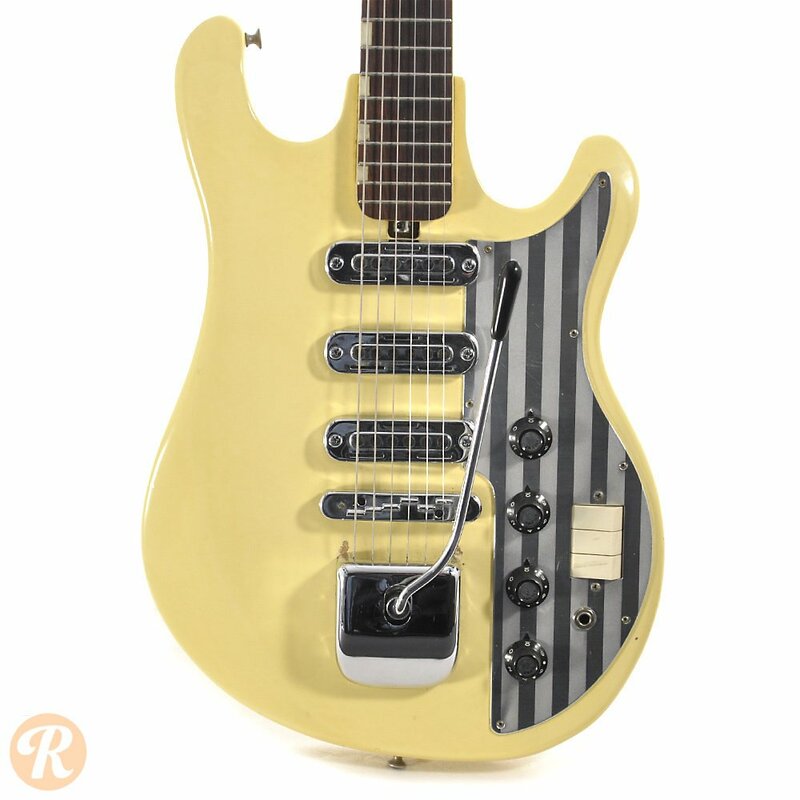 Vintage guitars of every stripe are listed on Reverb every day, and many of our buyers have made a habit of checking frequently for a new find. Dealers are constantly on the prowl for good guitar buys, and sites like Reverb make it that much easier. At guitar shows and online, dealers are constantly trading and selling to each other, and a single vintage guitar can really get around. Sometimes on Reverb, we'll see the exact same guitar sell multiple times from dealer to player to collector to dealer and so on. It's the circle of guitars, and it moves us all. Beyond that, there are plenty of other avenues for finding vintage guitars. The most successful sellers are the ones who keep their sources secret, so your best bet is to keep an eye out on Reverb. That's a great question, I'm glad it was frequently asked. Starting in the early '90s, the vintage guitar market went through a major period of growth that last up until the recession hit in 2008. The most dramatic change came in the form of a speculator bubble between the years of 2005 and 2008. Prior to the '90s, the concept of the vintage guitar was not as cemented as it is today. Sure, there were prized instruments worth more than others, but it took the combination of a number of factors to really drive prices as high as they got. Many observers note that the boom and bubble of pre-2008 represents a period when the baby boomer generation—the generation that came of age with rock 'n roll and the Beatles, and experienced the original electric guitar boom in the '60s—carried the most purchasing power against the backdrop of a strong economy. This expansion and increase in the market attracted speculators which caused the increased growth just prior to the recession. If you could answer this question accurately, you'd stand to make a lot of money. Like any investment or collectible market, it's difficult to predict exactly what will happen to the vintage guitar game, though plenty will try. As the baby boomers carry less weight and purchase less, it stands that there will be fewer collectors buying, thus lowering values. The idea is that the rising generation of potential buyers simply will not carry the same reverence or passion for the guitar their parents did. For evidence of this, simply turn on any top 40 radio station. Currently, we seem to be in something of a normalized plateau of guitar values, though interest in specific brands or models does change. One interesting phenomenon is the expanding interest in secondary vintage brands like Harmony, Guild, and Teisco. Since most of the really key iconic guitars from Martin, Fender and the rest of the usual suspects got snagged up during the boom of the '90s and early 2000s, the newer generation of guitarists have gravitated towards lesser known models to get their fix of authentic vintage mojo. These sorts of guitars have increased in value somewhat, though are still no where near the range we see for conventionally popular guitars. This very well may be the most frequently asked vintage guitar question of all. The answer is that your guitar is worth whatever someone will pay for it. Make a listing on Reverb and see what the market offers. You'll need an asking price, and for that we recommend considering what's written above about condition and originality, and consulting our Price Guide. There are lots of great resources out there to learn more about vintage guitars. For one, our Price Guide features comprehensive information on lots of vintage and non-vintage instruments and other gear with estimates on current values as well as images and background information. We also have tons of articles on Reverb dealing with topics such as Stratocaster History, Martins from the '70s, and more vintage topics. Take a look at the Reverb News page for more info. Perhaps the most widely used book on vintage guitars is the Gruhn's Guide which includes exhaustive information on most of the major brands.